This watch fits well; looks nice and i receive many compliments on it This user was entered into a sweepstakes after submitting their honest review. 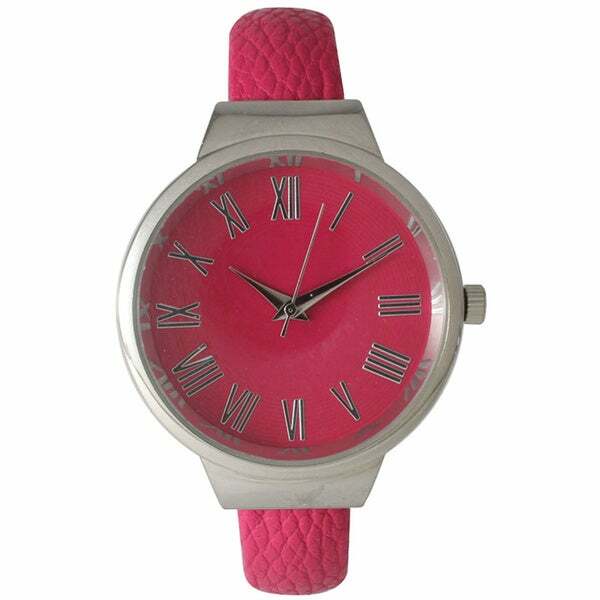 Featuring a beautiful Roman numeral markers as well as color complementing hardware, this Roman Numeral Classic Leather Cuff Watch by Olivia Pratt is a lovely complement to any outfit. This watch has a stylish cuff bracelet with a leather construction and reliable Chinese quartz movement.